Updating your little one’s room is as easy as could be, with the help of a few kids room decor touches. One of the most effective ways to ensure that your child’s room adapts to each phase is to keep walls and furniture neutral. This will give you the perfect foundation, allowing you to change the look of the room with just a few signature pieces. By changing a few kids room decor elements rather than redecorating the entire room, you will not only save a great deal of money – you’ll also save plenty of time and effort. Which elements are most important to change the look and style of your child’s room almost instantly? Let’s take a look. Rugs are a fun, easy way to instantly add a touch of colour to any room. With so many adorable rugs to be found, you could alternate between rugs to change up the look of your child’s room every few weeks. For best results, look for rugs that are easy to clean. Machine washable rugs such as the Lorena Canals range will allow you to keep rugs in tip-top shape, popping them into the machine whenever they need to be refreshed. Cotton rugs are also easy to spot clean while being comfortable and soft. Lighting does not have to be strictly functional. 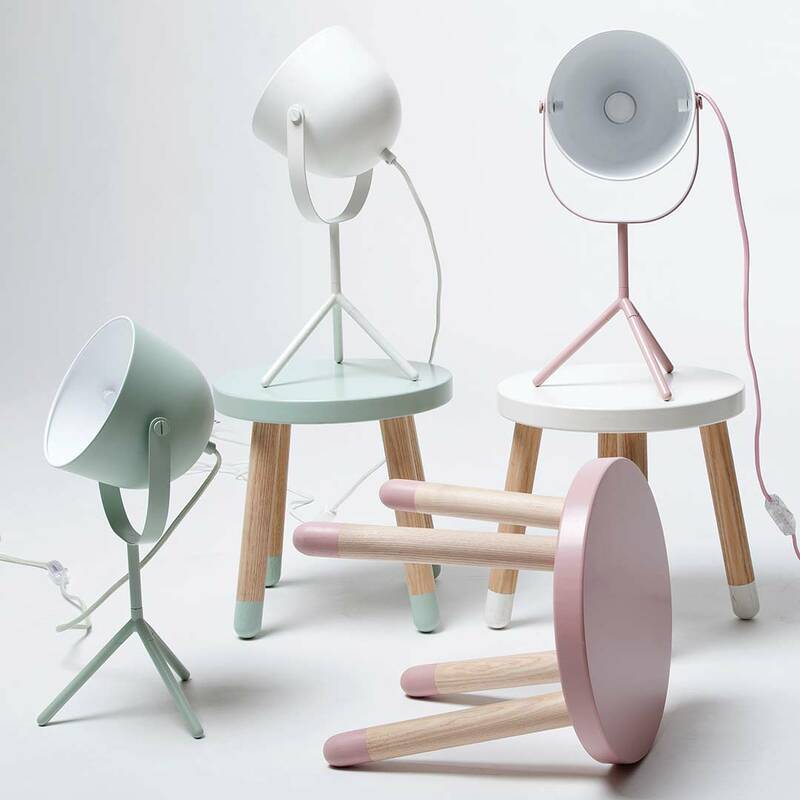 Bedside lamps come in all shapes and sizes, from simple, minimal designs that appeal to older kids and teens, all the way to funky themed nightlights and adorable lamps that blend into the room’s decor style with ease. Standing lamps and overhead lighting can also change the look of your little one’s room. To get the most from your lighting, choose lamps that are the right size for the room. Lights that are too small will not provide sufficient light, while lights that are too big can end up making the room appear cramped. Finally, it’s always good to remember that sometimes, it is the smallest of details that can have the most impact. Decals are a great way to express creativity. For babies, wall decals and mobiles play an important role in the development of imagination, giving something to focus on as sight develops. Decorating can even help your child’s growth and development. 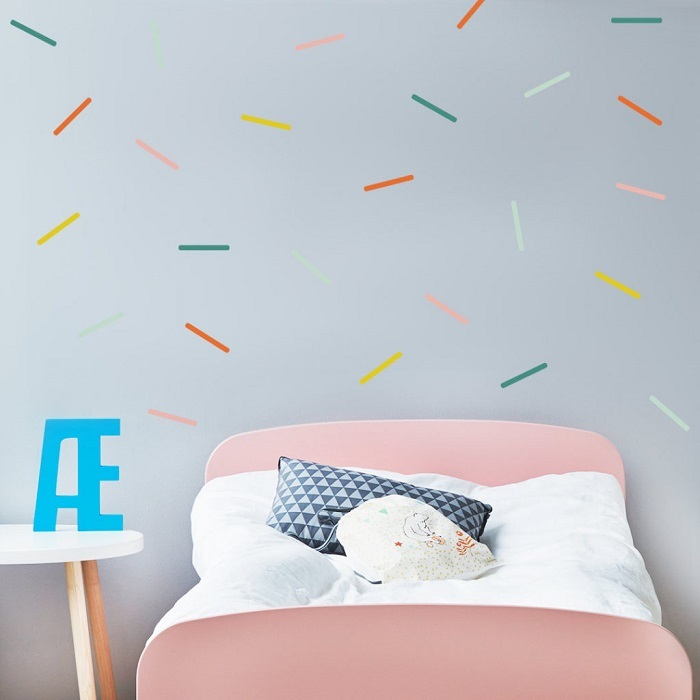 For toddlers and children, as well as teens, decals offer a way to add colour and personal touches to the room. What makes decor even more versatile is that you can easily mix and match to create a one-of-a-kind effect featuring wall art, framed prints, bunting, garlands, lettering, cork boards and various other art elements. Whether decorating your little one’s first ‘big kid’ room, planning a nursery or helping your tween or teen revamp their space, these must-have kids room decor essentials are sure to add just the right touch to any room.